I teach flamenco guitar lessons in London & I’m passionate about passing on knowledge & experience gained over 25 years of playing and studying flamenco guitar – the most exiting and vibrant style of guitar playing ever invented. 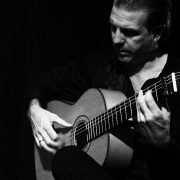 Learn the full range of solo flamenco guitar styles as well as accompaniment of flamenco dance & singing – all with an emphasis on understanding the deep roots and evolving musical language of flamenco. I started out playing a variety of instruments and singing with street-theatre & circus artists in London, Paris and Amsterdam. In 1992 I began my journey into flamenco guitar & lived in Spain throughout the 90s where I had the chance to study with some of the modern masters of flamenco guitar – Gerado Nuñez, Manolo Sanlucar, Carlos Heredia & Diego Amaya. 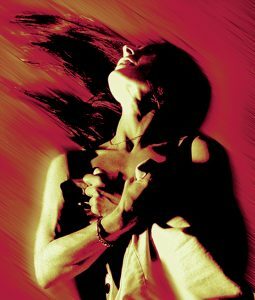 I am now based in London and continue to work as musical director of Flamenco Express touring in the UK & Europe. As a composer/producer I have written and recorded scores for film, TV, contemporary dance and theatre including work with Granada TV, Channel 4 Films, The Young Vic, Cirque du Soleil & the Royal Shakespeare Company.